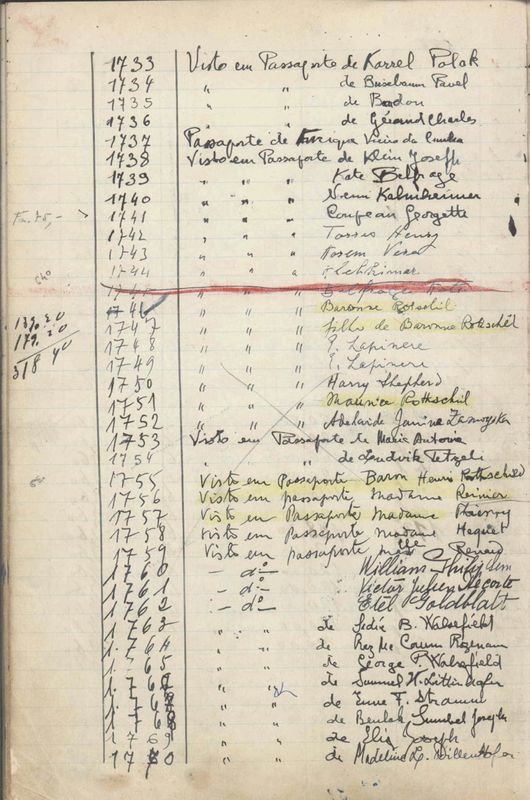 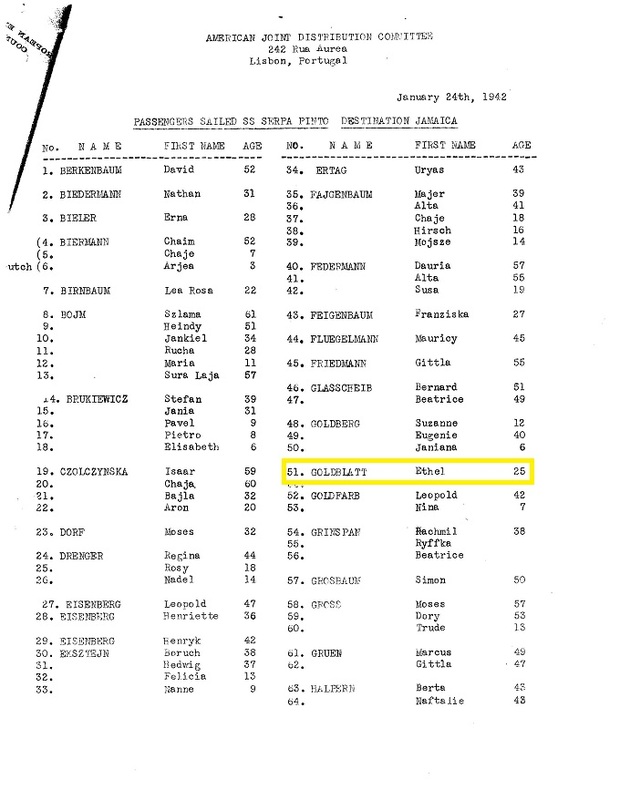 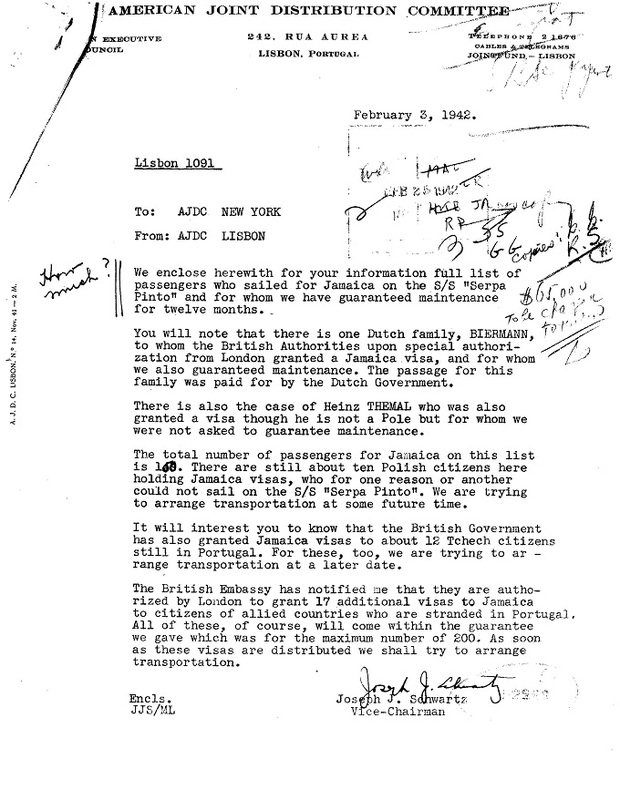 Etel GOLDBLATT received a visa from Aristides de Sousa Mendes in Bordeaux on June 16, 1940. 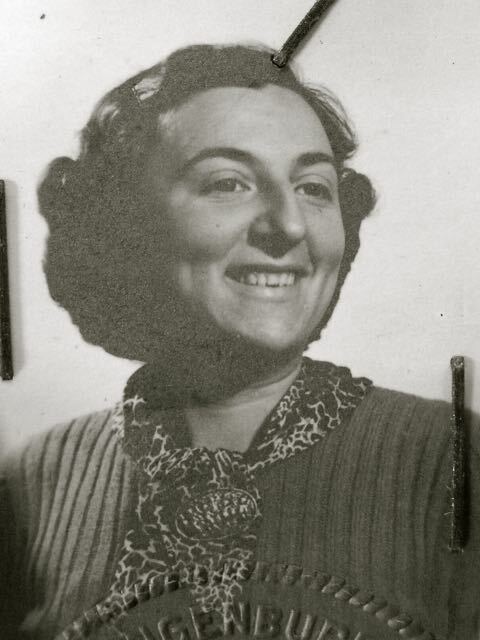 She crossed into Portugal. In January 1942 she was sent by the American Jewish Joint Distribution Committee on the vessel Serpa Pinto to a refugee camp in Jamaica.